Glitch Reporter: Twitter Outages: Network Simulation, Anyone? 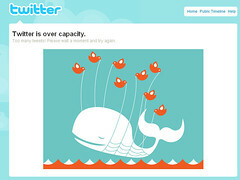 Twitter Outages: Network Simulation, Anyone? Whether caused by increased use over the World Cup, or other causes, Twitter is having service level management and possibly other issues. In their June 11 post acknowledging the problems and blaming it on a "perfect storm" of issues, their engineers attributed the outages to capacity planning and errors in configuration management. 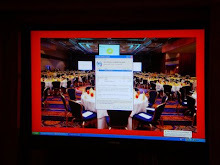 While some, such as Forrester's Gualtieri, quoted by Computerworld, accept this level of transparency, it's minimal at best. My recent TechRepublic post on capacity planning for backup has some suggestions that Twitter might want to consider; the methods currently in use by the firm, one guesses, haven't involved careful simulation or other prudent measures.